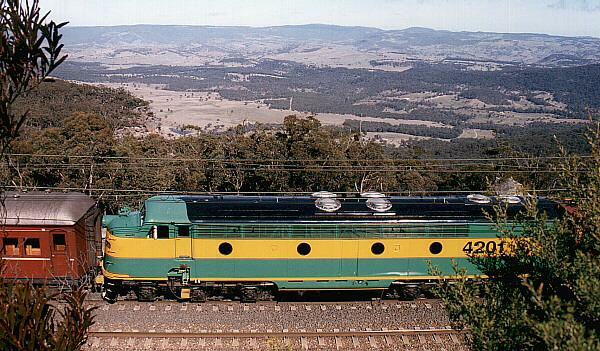 The 42 class was built by Clyde Engineering at Clyde, NSW. 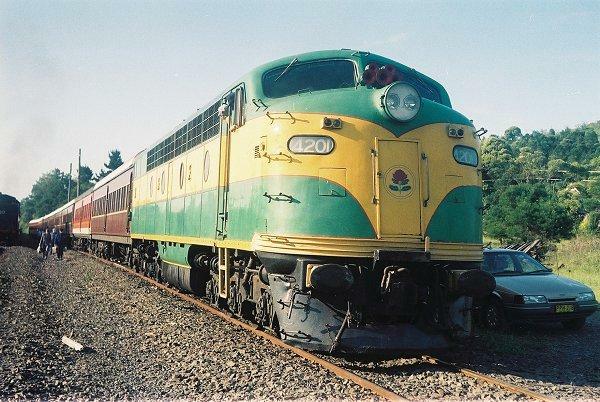 The first unit was in service on November 28th, 1955. 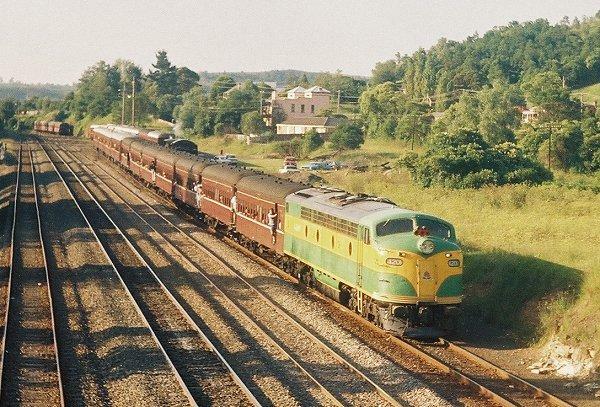 There were 6 units in the class, numbered 4201-4206. They have a V16 Blower scavenged 2 stroke GM-567C engine. 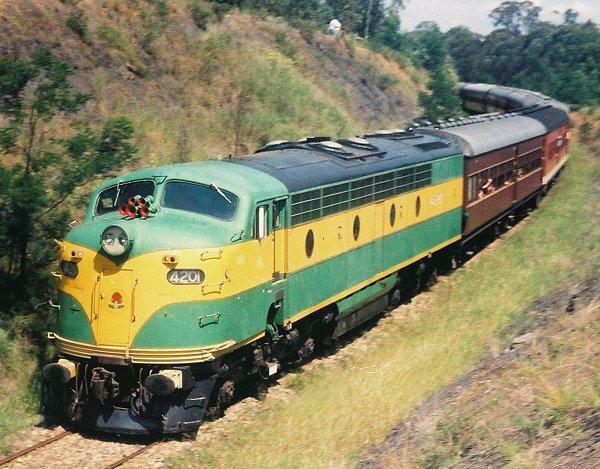 They weigh 122 tonnes and have 1600 HP available for traction. You are visitor number since August 6th, 1997. All photos ©Copyright David Johnson.